It’s the last week of school for folks in these parts. It’s been full of LASTS. Concerts, parties, yearbooks, autographs and school. We don’t have anyone graduating this year, but our neighbors do. 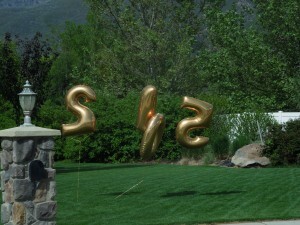 Can you tell what these balloons spell out? 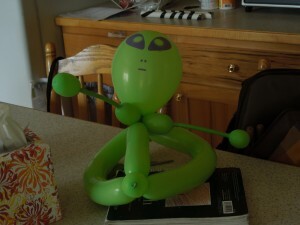 My sister-in-law, Julene and I went to John’s class at school today to make balloon animals for part of their party. His teacher thanked us profusely, but I wonder if the balloon noise just added to the chaos. Oh, well. The kids liked them. In addition to lasts, we’ve had new beginnings. Cole spend almost all day on Monday playing with (or maybe the better word is configuring) his new phone (my old phone). He’s also been working on his old laptop (the one that Megan’s been using for the past two years). 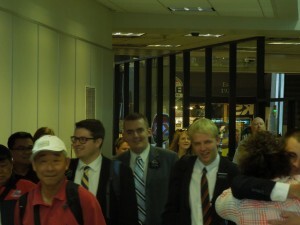 But yesterday, he heard back from his former boss at his BYU job, who asked him to come in today and start working! Woo Hoo! Such a relief to have him have a JOB! Not only does he desperately need money, but he needs something to DO. It sounds like they will allow him to work up to 40 hours a week, which would be wonderful. Crossing my fingers that it will work out that way. Megan has also been working at Wendy’s since she came back from school. Since she’s available and willing to work, they’ve put her on nights, which means she goes in at 5 and is done at about 1. Last pay period she even picked up someone’s shift so she got overtime. Overtime makes this girl super happy. When things get busy and we have more things going on, I hope it’s not too hard for her to trade shifts so that she can have the evening off to do things with us (family pictures coming up, for example). Natalie has also applied at a couple (and I use that term liberally) places, but today when I nagged her about that it was time to find a job, she complained bitterly. Does she not understand that the nagging with stop when she finds a job? Silly girl. 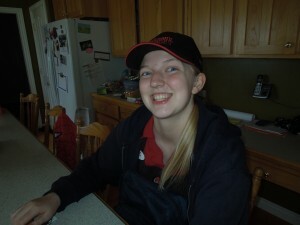 She acts like she’s too good to work fast food. Hmm. I guess she’ll just have to do more jobs around the house for me. Since we have two more drivers home and no more cars (nobody seems to want to drive the suburban), we’ve been looking for another car. We found one this week and I bought it yesterday. 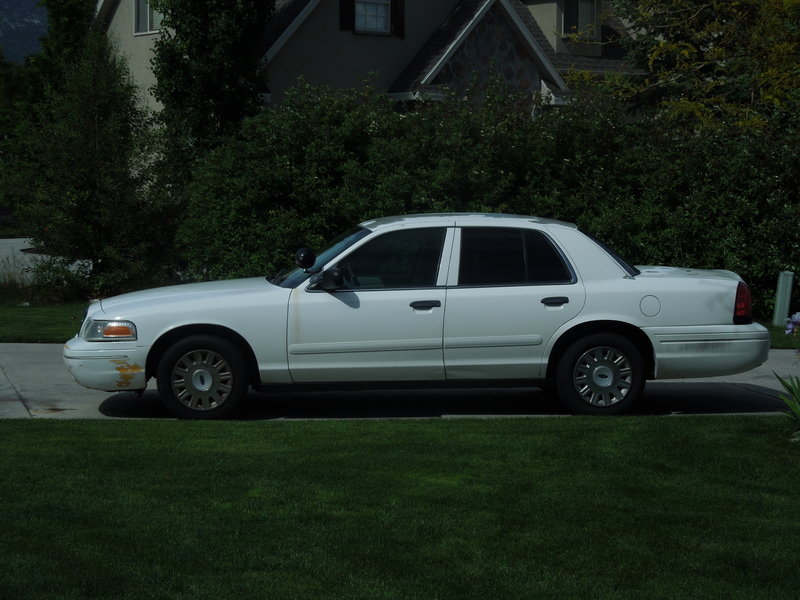 If you think that looks somewhat like a police car, you would be correct. It’s a 2003 Crown Victoria, used by the forest service, not a patrol car, so it’s not quite as beat up as it could have been. 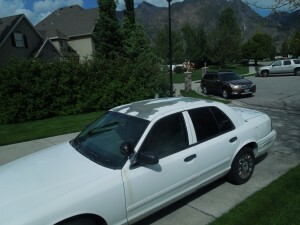 It looks ok from the side, but if you look up top you’ll see much more paint damage. The kids don’t seem to mind, and the price was in our range, so we bought it. Plus, we know the guy who sold it to us, and I don’t think he would sell us a lemon on purpose. This car has a lot of power and will hopefully run for a long time. And on a completely unrelated topic, since Natalie was home today, I asked her to use the rhubarb we had picked yesterday to make something. 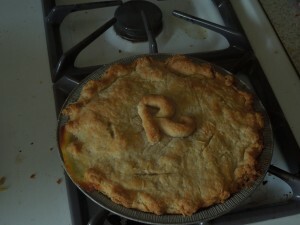 I made rhubarb muffins yesterday, so she decided she wanted to make a pie. Not bad looking for her first pie, right? So, happy summer. Enjoy the long days, the kids at home, the messes. I know I will. 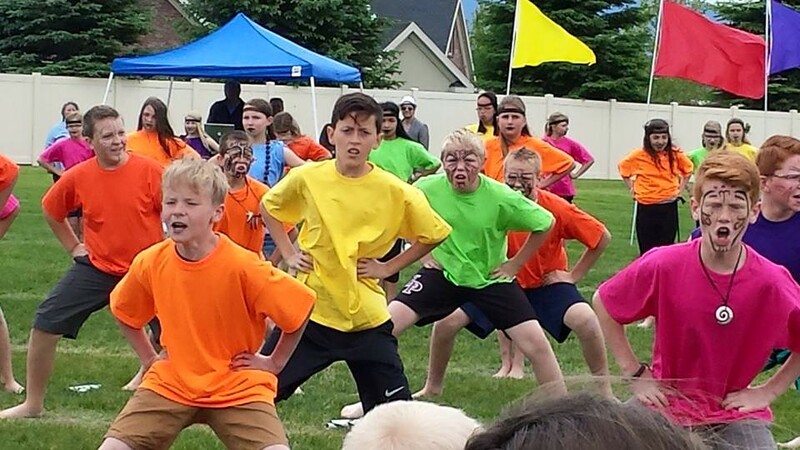 for the school dance festival. John’s grade was doing the Haka, and so, eyeliners in hand, we helped to make them look a bit more scary. It’s been such a rainy month, and it threatened to rain the whole time, but thankfully it did not. We enjoyed all the dances, but especially the cute life skills class doing the Makarana. 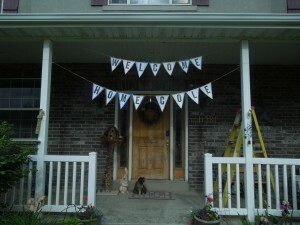 After the festival, we brought John home, and got a few things ready before we left for the airport. 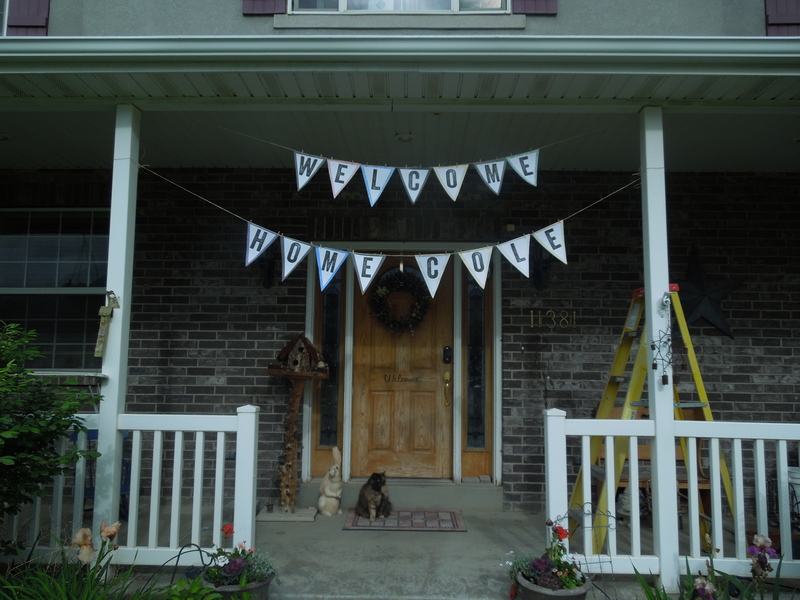 I hung my banner, which I just love. It wasn’t too hard to make, and I thought it was so cute. (I love how the cat posed right by the door in my picture). 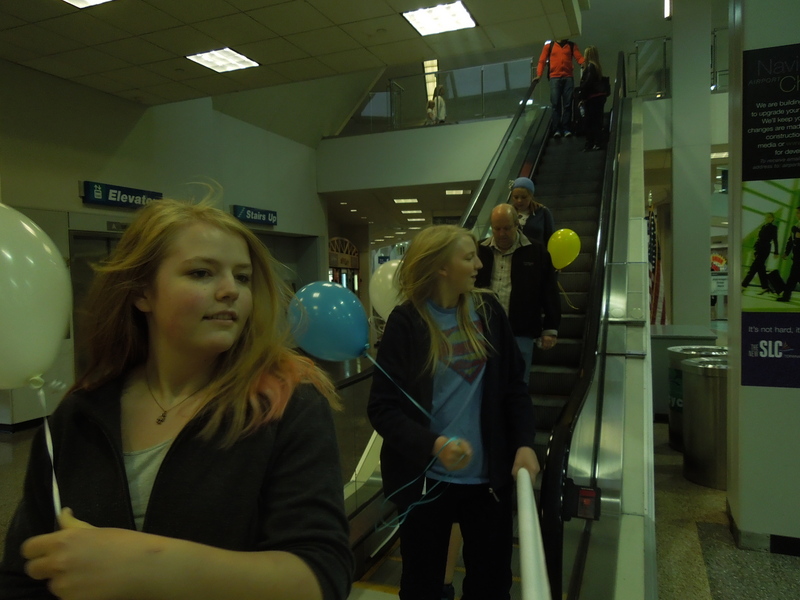 We grabbed some balloons, and headed up to the airport. In reality, we should have left a bit earlier, since the traffic was kind of heavy, but we did fine. We set a family goal to finish the Book of Mormon before Cole came home. 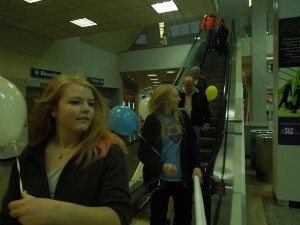 As we were in Alma at the time we set that goal, we thought that was totally doable. Well, procrastinators that we are, as we got in the car to go get him, we still had the entire book of Moroni to read. 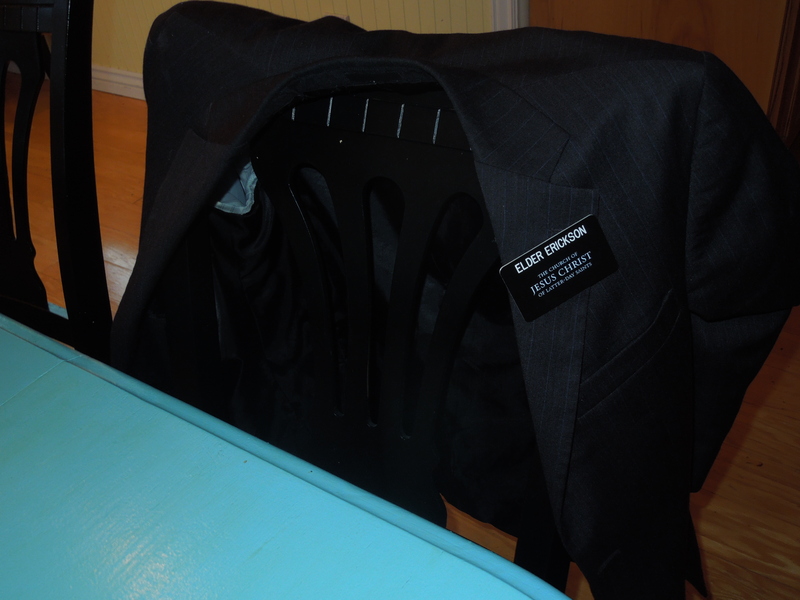 But Moroni has a bunch of small chapters, so we thought we could do it. I started the audio on my phone and we listened the whole drive. Chapters 1-5 went quickly, but then we got to 7 which is long, and I began to worry that we might have to be reading in a corner of the airport. I know you can make Bruce Lindsay read faster, but I didn’t want to take the time to fiddle with the app and figure that out. As we were pulling into the parking garage, we were on chapter 10. So close! We finished the book AS WE were pulling into the parking spot. Not kidding. We grabbed out sign and hurried in. 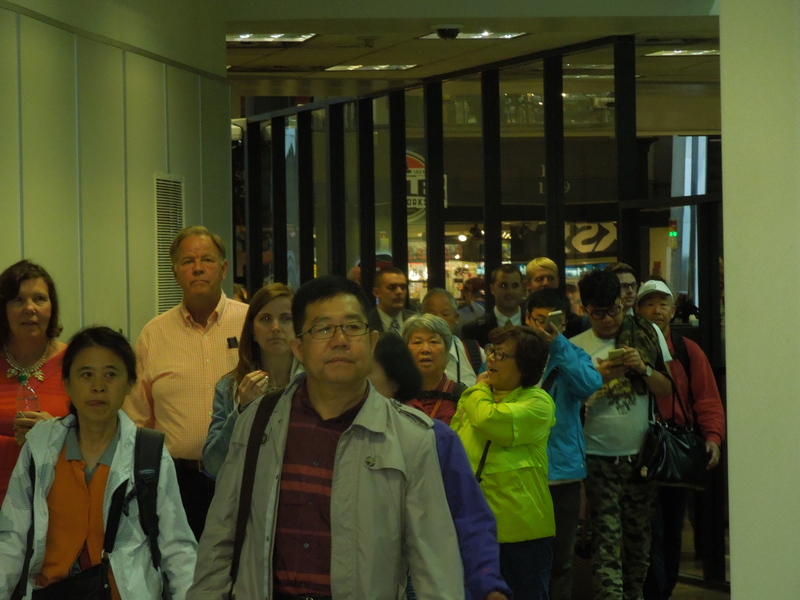 We could have taken our time, but it was the only a couple of minutes before the scheduled arrival time. We stood around for about a half an hour. 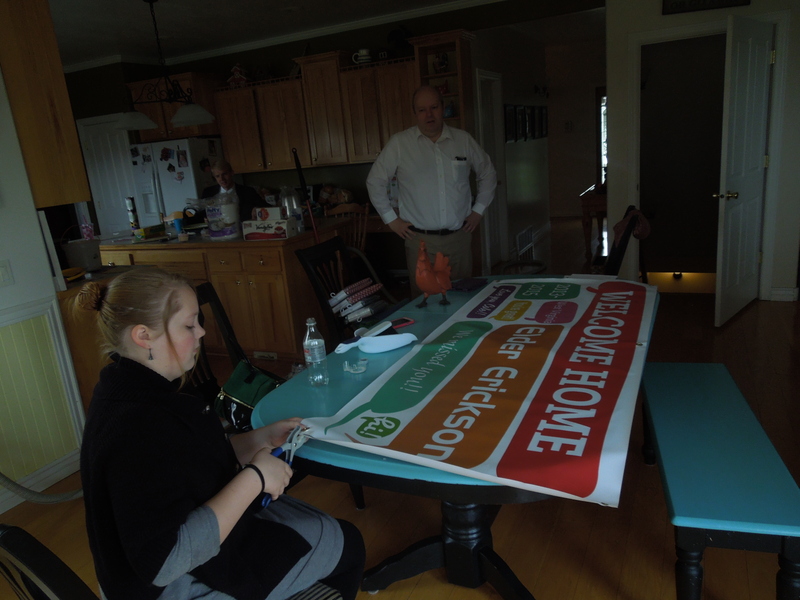 We stood with our sign, me talking to my parents and chit chatting a bit with the other missionaries’ families. All excited. Counting the minutes. 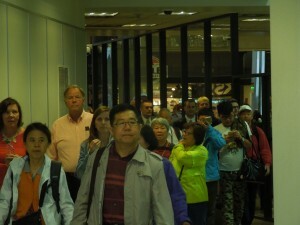 The energy at the airport on when waiting for a missionary is electric! So many families. So much love. There were actually only 5 missionaries on this flight, but the waiting area was pretty full. One mom to the right RAN ahead screaming to grab her son, but the rest of us were a bit more composed. I got to grab him and hug him. It felt so great. I think I exhaled some tension I didn’t know I had been carrying for the past two years. Just a tiny bit of worry that I had held on to while my boy was away. 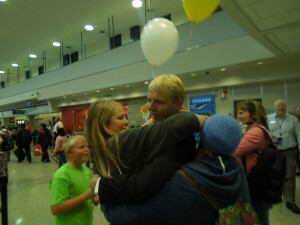 I don’t have a picture of me hugging him (I think my dad has that one), but we all got our hugs in. 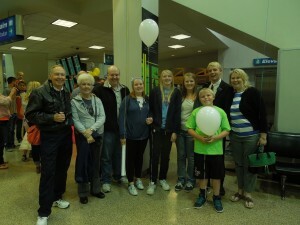 And we got a picture of us all at the airport. Afterwards, we all went to crown burger for some dinner. Fancy? Not so much. Convenient? Yes. Fun? Of course. 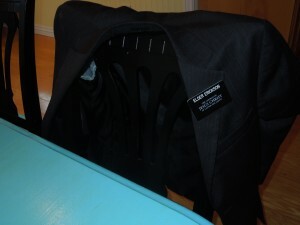 Saturday we all went to the Stake President’s office at noon for a great talk and some wonderful advice, and then he had him take off his name tag. That’s a hard thing to give up the protection and honor of wearing that badge. He let me have one of them to keep on the fridge. We had to much work to do Saturday that it was busy, busy. 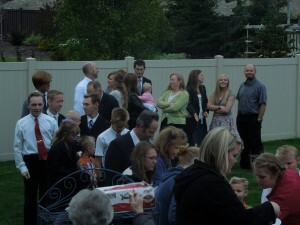 We even took Cole to a wedding reception of a ward member that night, and he got lots of hugs from non family members. Sunday was a wonderful day. He gave a great talk, Natalie played a wonderful piano solo, and the weather held. 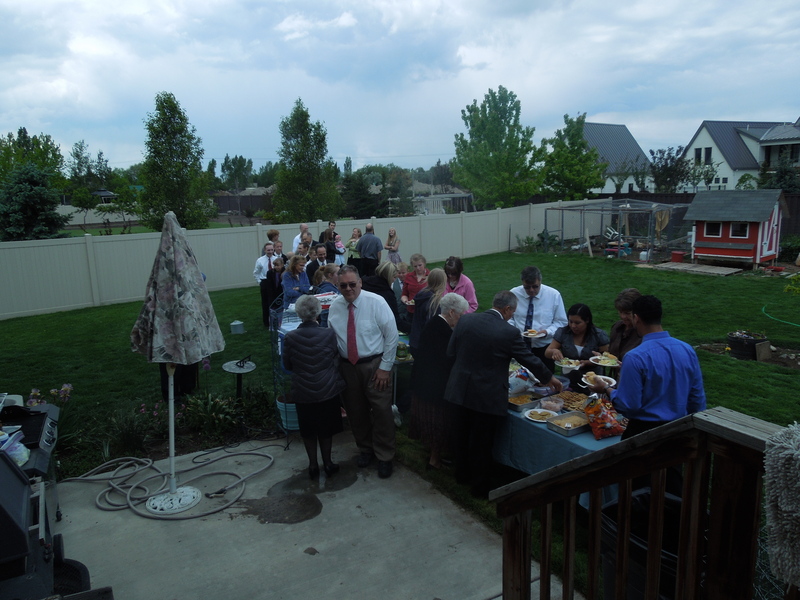 We were able to have our gathering outside, just as I had wanted. Even though it was cloudy and a bit cold when we started, we just went for it. 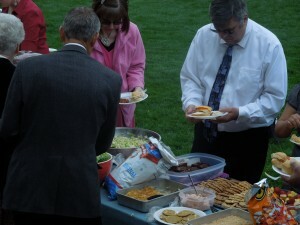 I said to the group of at least 50 people (didn’t count), if it rains, we can go inside. But only a couple people went inside. After about 20 minutes, it warmed up, the sun came out, and it was wonderful! 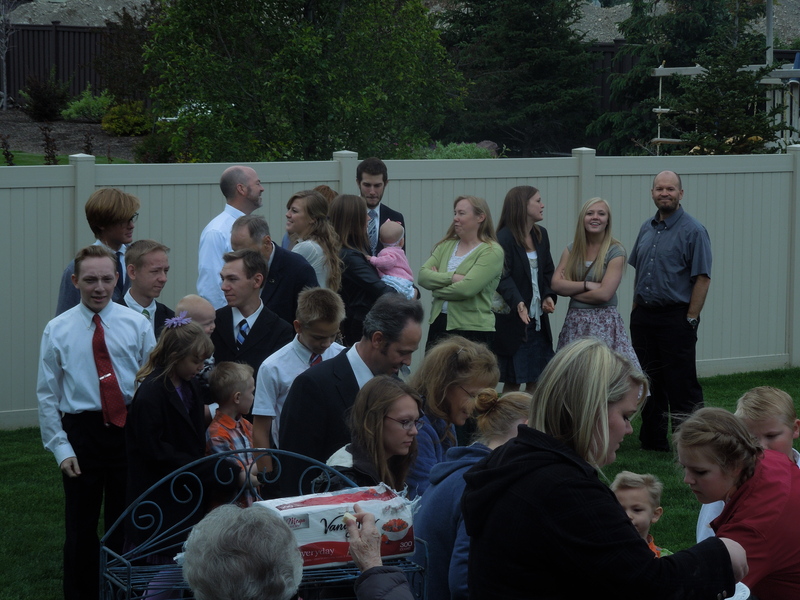 I loved having so many cousins, aunts and uncles, and my sisters and parents there. There was plenty of food, so many hugs, and we had a great time. The chickens, who had been locked up the whole day, were anxious to get out, and we did get a couple of them out to let the little kids pet them. I couldn’t have asked for a more perfect day with family. We are so happy to have him home, but I’m a tiny bit sad to have the missionary experience over. 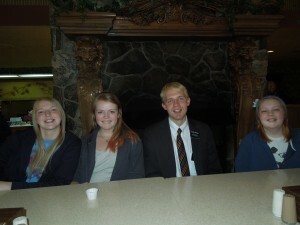 I know it sounds strange, but I really did enjoy having a missionary out. I hope I’ll get the experience again in a few years. Too hot. Too cold. Pillow too flat. Husband making noise. Whatever. Then my brain kicked in. 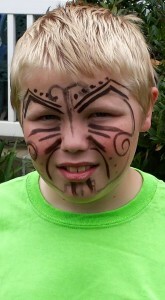 Thinking about fundraising for John to go to the scout National Jamboree. Thinking about the kids and their end of school projects and things. Thinking about Cole coming home and details that go with that. I was finally just about back to sleep and I had this horrible thought that something wasn’t right. “Just checking to see if you are allright.” Such a lame answer, I know. Is it just me? Stupid middle of the night fears. I helped someone fill out a food order this week. Everything is firsts for me in this calling. I’ve been doing it for a month, now, and I’m still learning and finding things out. It’s hard to keep my personal opinions and prejudices out of the situation, since I really don’t KNOW the whole story. I’m just trying to help them without judging. There was also another death in the ward. A 105 year old woman who was living in our ward, with her son and his family. She didn’t make it to church, and I think I have only seen her once since she’s been here. Her funeral will be in New Mexico, where she is from, so I don’t need to worry about that. Mother’s day was awesome. We had some great talks in church, then COLE skyped with us and it was so wonderful to see his face. 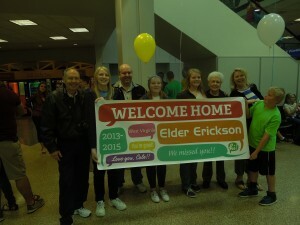 I know he comes home in less than two weeks, but it was still a lovely bonus to see him. I hope he works hard for the last real week. 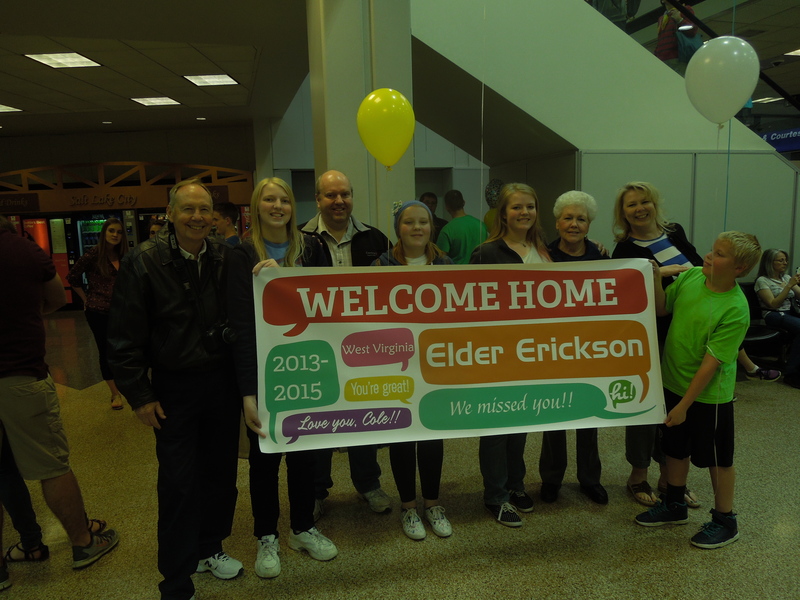 We are all very excited to have him home! I keep telling the kids that he’ll be a bit weird when he comes home, but they don’t really listen.